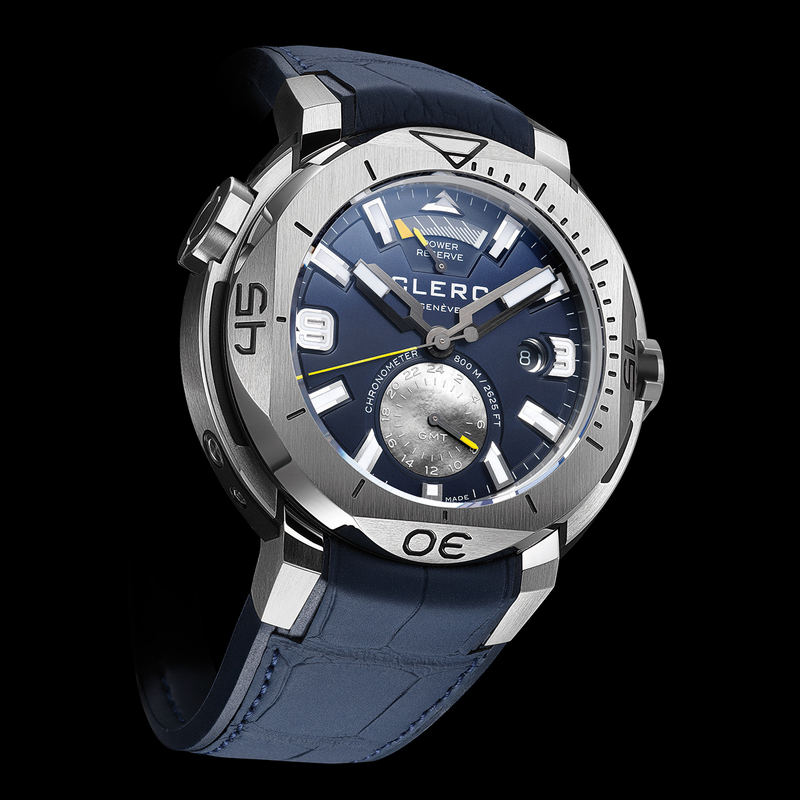 Clerc Genève dive watches are as ready to take on the city as the ocean's depths. At 83 components, the case of the Hydroscaph GMT Power-Reserve Chronometer is one of the most complex yet. 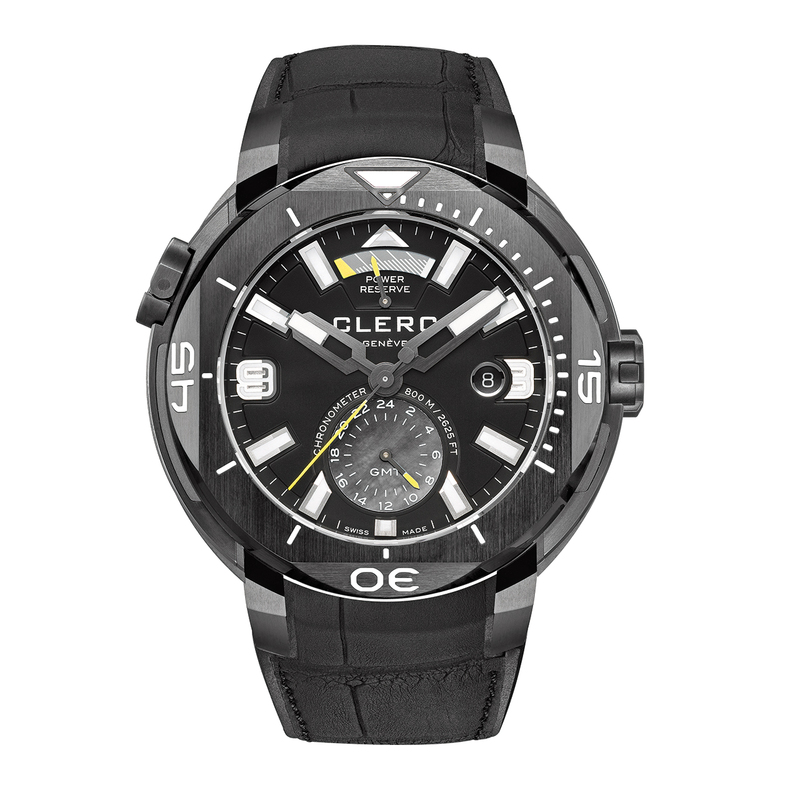 It also lives up to professional divers' demands with water-resistance of 800 metres. Add to this a system that locks the rotating bezel by means of a second crown at 10 o'clock to prevent this vital tool from accidental activation underwater. 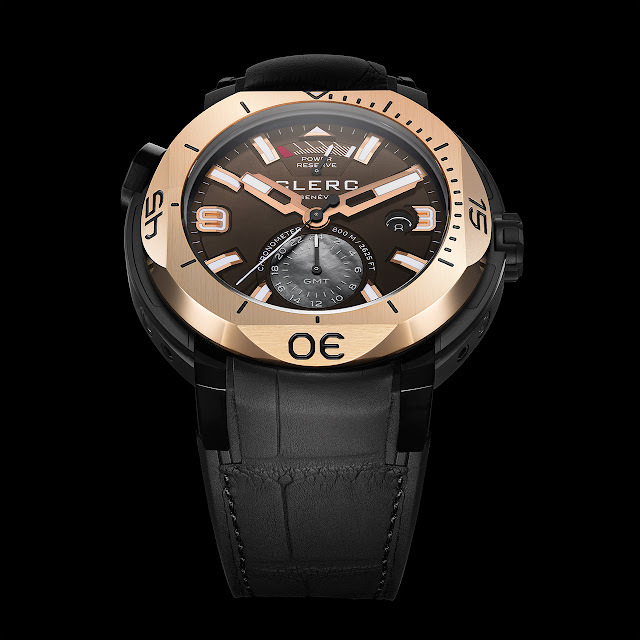 This pink gold bezel with its four sloping corners is also a hallmark of the Clerc brand. The handsome Hydroscaph GMT Power-Reserve Chronometer has everything long-distance travellers could wish for too. Its movement is an officially certified automatic chronometer that displays a large second time zone in a mother-of-pearl counter. The ergonomic case, in pink gold or black DLC-treated steel, makes a bold statement with its generous 48-mm diameter. Mobile lugs ensure excellent comfort on the wrist. Mechanical automatic, COSC-certified C610 chronometer calibre, 31 jewels, 28,800 vib/h, 43-hour power reserve. 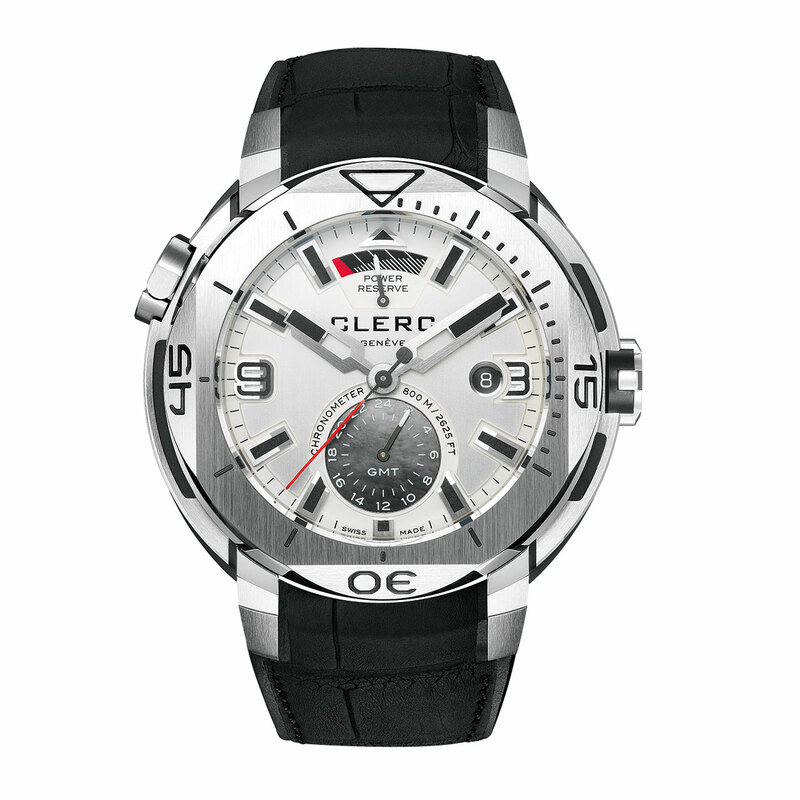 Hours, minutes, seconds, date, power-reserve indicator, 24-hour dual-time display. 18K pink gold or black DLC-treated steel, 48 mm. Unidirectional rotating bezel, locked by a 10 o'clock crown, helium valve. Anti-reflective sapphire crystals, front and back. Water-resistant to 800 metres (80 bar/2,624 ft). White, brown, midnight blue or black. Power-reserve indicator at 12 o'clock, date window at 3 o'clock, mother-of-pearl counter with second time zone display at 6 o'clock. Alligator-pattern rubber with folding clasp.